Remember in the movie Jerry Maguire Cuba Gooding’s character was famous for saying “Show me the money!” This Show Me state will show you a wealth of security cleared jobs in Missouri. Make your first stop in St. Louis because this gateway to the west city not only has a towering Arch and a spectacular river view, but it boasts the majority of the security clearance jobs in Missouri. You’ll find that qualified employees are needed to fill positions as Cyber Security, Logisticians, Assurance Security and IT professionals in numerous disciplines. Many positions require a Top Secret/SCI clearance. St Louis has a major presence for the National Geospatial-Intelligence Agency (NGA). This agency delivers world-class geospatial intelligence that provides a decisive advantage to policymakers, warfighters, intelligence professionals and first responders. NGA is a unique combination of intelligence agency and combat support agency. And they always have a demand for talented professionals with a security clearance. 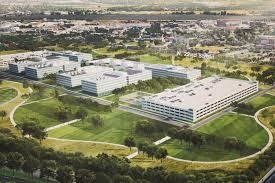 NGA’s facilities are in St. Louis and the St. Louis suburb of Arnold. Boeing’s Defense, Space & Security division is headquartered in St. Louis and there are many defense contractors supporting their efforts resulting in many security cleared jobs in Missouri. Drive across the state to Kansas City where you’ll find more defense and intel contractors that offer security cleared jobs. Here the demand is for Software Specialists, Cybersecurity Analysts, Interdisciplinary Engineers, Program Managers and Business Consultants. Whether to decide on St. Louis to the east or Kansas City to west know that you will find a plethora of cleared jobs in Missouri. Once you’ve lined up an interview for one of these terrific security cleared jobs in Missouri, use these tips to make that interview a success. 1. Prepare a list of questions to ask the interviewer. Take advantage of this time for an informed two-way conversation. 2. Your interview starts with the way you present your interest in a position, the imprint you make on the first phone call and the first impression you make when you step through the front door. Always present yourself professionally. 3. Research the company beforehand and go into the interview sounding knowledgeable and informed. 4. Map out the logistics of getting to the interview location. You never want to be late and if you arrive early, wait in your car until about five minutes before your meeting. 5. Be conscious of making a connection with each person who interviews you. Be personable as well as professional.